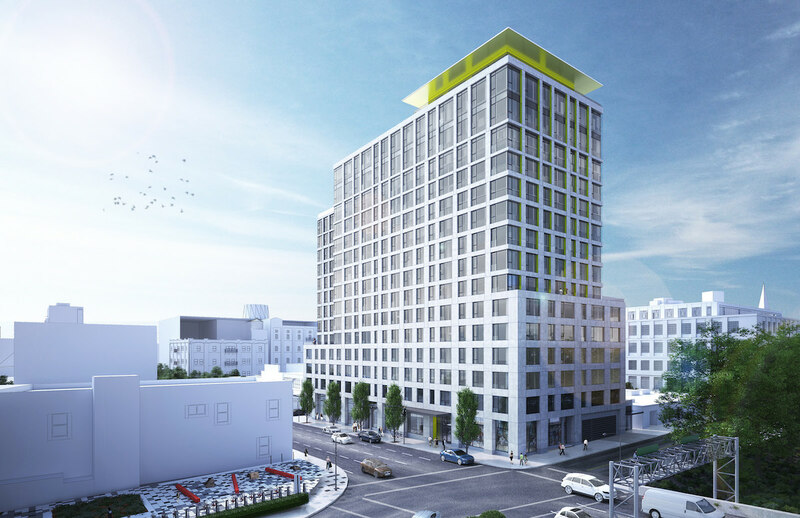 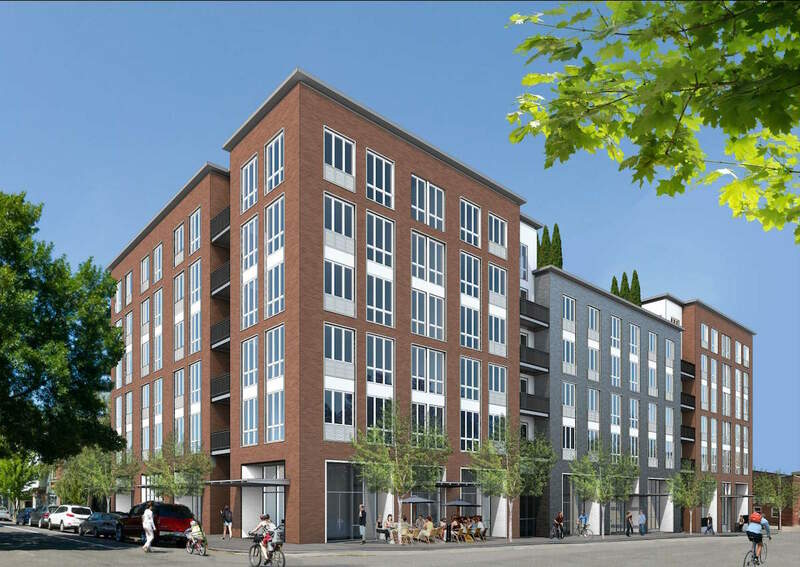 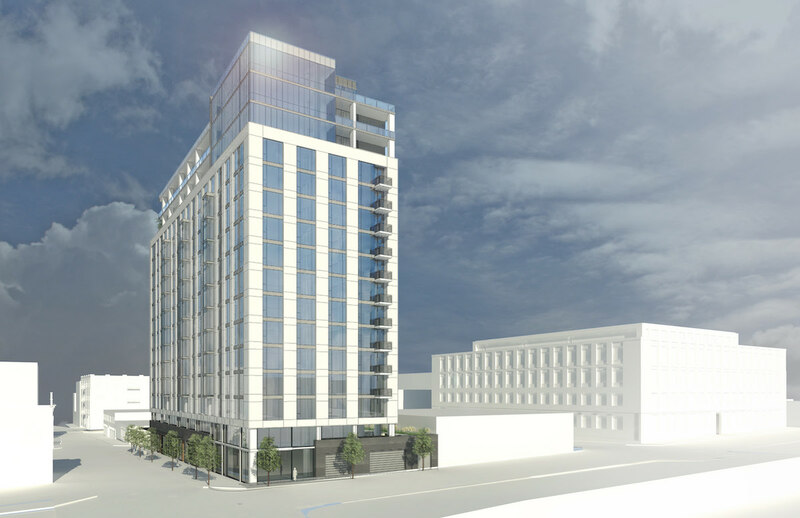 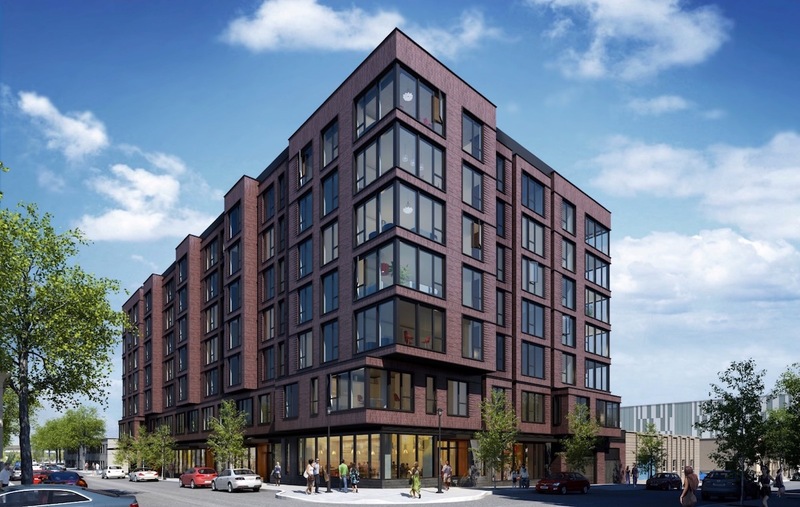 Ankrom Moisan Architects have gone before the Design Commission for advice on a 16 story tower proposed for NW 14th & Glisan in the Pearl District. 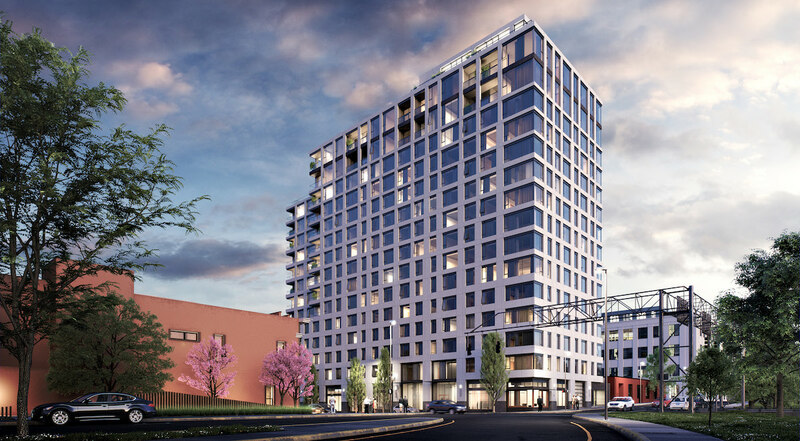 The developer behind the 174.5’ tall project is Holland Partner Group. 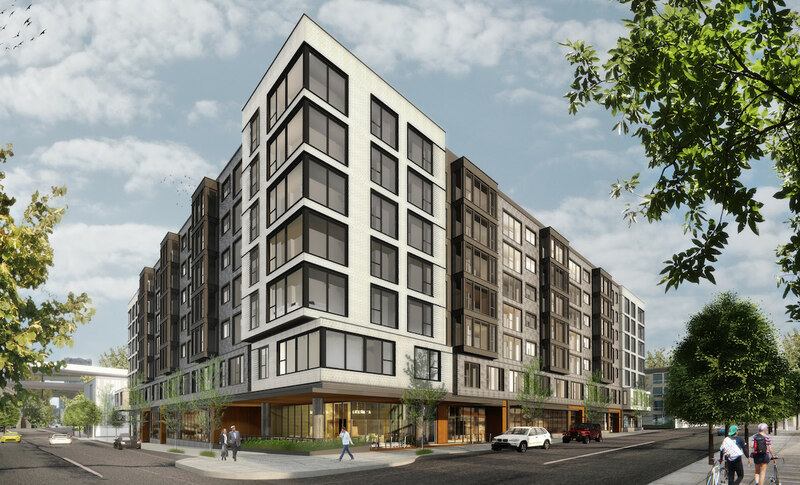 The mixed use building will contain 244 residential unit and approximately 4,285 sq ft of ground floor retail. 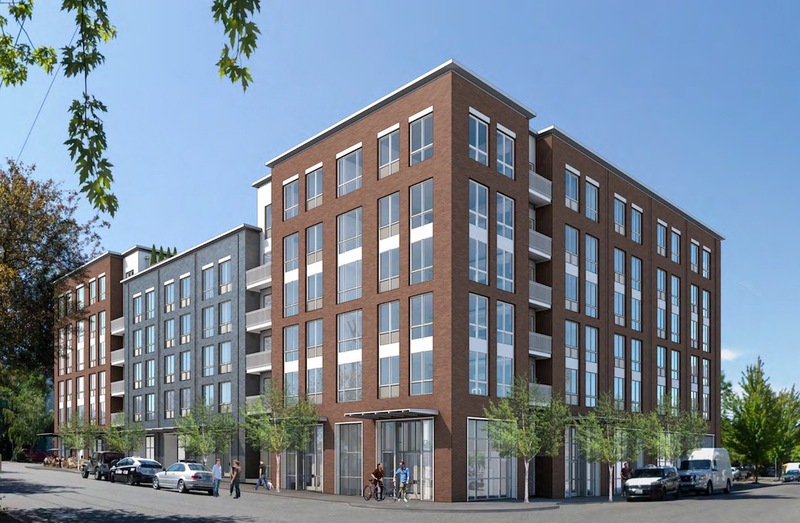 Parking for 201 vehicles is planned in three levels of below grade parking.